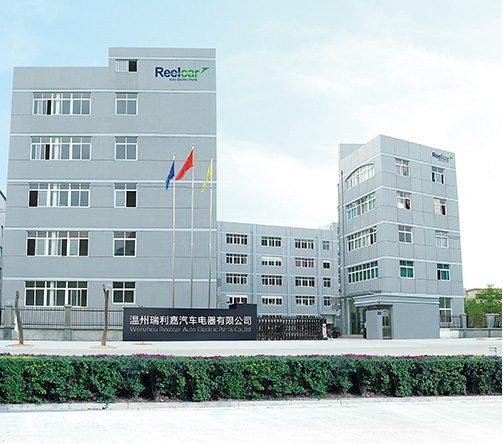 Wenzhou REELCAR Auto Electric Parts Co. Ltd is located in Zeya Industrial Zone with the convenient transportation and beautiful environment. REELCAR specializes in the production of major brands of auto ignition coil, and now owns more than 450 series of such products mainly sold to Europe, the United States, Central and South America, the Middle East, Africa and many other countries. REELCAR bases her expanding product development and production on our first-class products approach, we have perfect technical facilities and well-trained production team, the perfect production line and testing equipment, is a modernization corporation which has introduced the Germany advanced "6S" management concept. REELCAR is a vibrant and thriving enterprise, we adhere to the highest philosophy of "thanksgiving and return", advocate the entrepreneurial spirit of "bold innovation, pursuit excellence", and strive to achieve the goal of "industrial scale, management modernization, running international, staff professional". We firmly believe that we can create a REELCAR brand through offering high quality products, efficient work, quick feedback, market-driven support. With the excellent quality and excellent service, we warmly welcome new and old customers at home and abroad come and negotiate business to establish friendly cooperative relations for aiming at successful business.